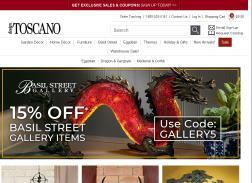 Design Toscano is a provider of home, garden and wall decoration products. Its catalog lists statues, furniture, decor, antiques and replicas in many different themes. 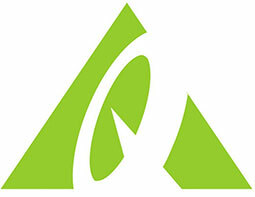 The website allows previewing of items, ordering online and sales for discounted merchandise. Customers praise the beauty of the collection and the prompt shipping. After Christmas Warehouse Sale! Get an Extra 15% off Select Warehouse items that are already on sale. Only one promotion code per order may be used. Get 20% off your purchase when you sign up for email. Get 20% Off New Gothic & Medical decor. Get 20% off Animal Statues. Winter Blowout Sale! Get up to 83% off newly reduced sale items. Get up to 25% off Buy More Save More Sale. Get Free Shipping On Orders $125 And more! Available Only In The Contiguous United States. Valid On Standard Shipping Only. Save 20% on New Arrivals. Get 20% off Animals Collection. Get 20% off Tropical Statues. Get 20% Off Select Items. Other restrictions may apply. Discounts apply to in-stock items only that are available for immediate shipping.